Over the past decade, the rise in eCommerce has transformed the retail experience - and this trend only continues to grow. In recent years, online retail sales reached an incredible $2.3 trillion worldwide, and eCommerce sales accounted for more than 10% of all retail sales globally. However, let’s be honest: most SMBs have a love-hate relationship with eCommerce technology. On the one hand, the rise in new technologies allow retailers and e-tailers to reach a broader audience and reduce costs on storefront rentals; on the other hand, it can be challenging to keep abreast of new technologies and integrate them into your strategy, as well as manage buyer behaviours between digital and brick-and-mortar channels. No matter which camp you belong to, its undeniable that technology has transformed and elevated the customer experience, and will continue to do so in the future. As an SMB, the more you embrace retail technology and omnichannel business management, the more you can improve your customer experience - and the more your business will flourish. If you’re looking to create new customer experiences in 2019, here are 5 retail technology trends which could improve your customer experiences, drive conversion, and boost loyalty. Word-of-mouth marketing has always been more effective than direct advertising, and in the age of omnichannel eCommerce and social media, social commerce has become a powerful tool for boosting brand awareness, and influencing purchasing behaviour. Today, customers want brands and products that are authentic, and that are recommended by people they trust or respect. Research from a recent study shows that 72% of millennials bought fashion and beauty products based on Instagram posts; similarly, Hubspot data revealed that 71% of people are more likely to make a purchase online if the product or service has been recommended by someone else. Social media channels like Instagram, Facebook, Pinterest, and Snapchat are increasingly aware of these trends, and transforming their platforms to incorporate more social commerce into their platforms. Facebook now offers brands the opportunity to sell items directly on a company Facebook page, and Shopping on Instagram links images on posts to products on eCommerce stores for better conversion. Companies like WeChat in China are also spearheading the social commerce trend, with brands opening dedicated WeChat stores and mini programs to encourage purchase in the platform based on social media content and recommendations. For SMBs working in eCommerce, it’s clear that social media is truly no longer ‘nice to have’ - it’s necessary to integrate it into your strategy whenever possible. Platforms like Shopify and Bigcommerce allow brands to embed “buy now” buttons and product links directly into social media accounts, and as a business owner, you can use this to capture customer interest and turn it into tangible sales, as well as analyse the data to see which types of posts are more likely to entice customers to buy. In recent years, augmented reality has gone from a concept to a real tool for companies to convert customers. Companies like IKEA used augmented reality in a ‘try before you buy’ approach, by allowing customers to virtually see how furniture will look in their home via the IKEA Place App. Likewise, brands like Sephora have introduced augmented reality so customers can see how different shades of makeup will suit their skin tone. Virtual reality videos to preview your products and services. Use tools like a 360 camera to record immersive videos, then upload videos directly onto Facebook using the 360 format, or invest in Google Cardboard to give customers VR experiences in offline stores - all without breaking the bank. AR markers can be added to product packaging in order to link to an online product page. This can help bridge your business’ online-to-offline experience, and help drive more conversions through offline channels. Immersive company listings on maps such as Google Street View and Yelp Monocle, which give customers a more tangible understanding of what you offer by ‘showing not telling’. eCommerce is on the rise, with over 58.9% of global eCommerce sales coming from mobile devices, and the increase of mobile payment options such as Google Pay, Apple Pay, and China’s WeChat Pay and Alipay mean that more eCommerce platforms should start to integrate mobile checkout and payment into their offerings in 2019. 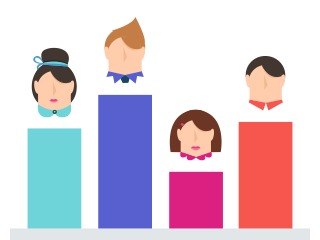 For retailers, this trend affects more than just the final checkout process. SMBs need to think omnichannel to get ahead, with mobile at the heart of user behaviour from research to consideration and conversion. Businesses with offline stores or events could consider offering a scan and pay option linking an offline item to an online SKU, or create a dedicated retailer app that combines online shopping, news, promotions and rewards in one place. Likewise, as peer-to-peer payments become more common, retailers and eCommerce businesses need to seriously consider integrating payment solutions such as Venmo or Square Cash into their online and offline stores. From eCommerce stores to offline stores, social commerce stores, and partner/affiliate stores, today there are a plethora of purchasing channels available for customers to convert. The customer is the channel, meaning they will decide where to book and when, and SMBs need be responsive to the growing omnichannel trend. Omnichannel business strategies start with business owners having the right tools and technology to offer transparent inventory management and fulfilment across all channels, which means all supply chain, orders, stock, and shipping processes are synced and talking to each other in real-time. Without this, all the different shopping channels are isolated and businesses risk selling products to customers when there is no stock, or an order being placed but overlooked in the fulfilment process. In addition, with platforms like Amazon and ASOS offering fast shipping, SMBs have to tighten up their supply chain processes in order to remain competitive. As a small business, time is a valuable asset and automation can help streamline workflows and reduce time spent on arduous admin tasks. TradeGecko’s platform offers real-time inventory control and order management to sync purchase data across channels and automate the shipping process, to deliver best-in-class omnichannel execution for SMBs. Artificial intelligence doesn’t necessarily equate to robotic shopping assistants in stores. Today, as more customer enquiries shift online, companies are leveraging intelligent tools like IBM Watson to interact with customers, answer questions in real-time, and recommend products using pre-programmed responses and machine learning. A study by Gartner predicts that by 2020, 85% of all customer service interactions will be managed using AI. Customer service platforms like Facebook, Shopify and BigCommerce can already integrate chatbots so businesses can cut down on time spent on answering frequently asked questions, or linking to products online - and this will continue to evolve in future with chatbots learning to understand customer preferences and behaviours, and using this to provide customised product recommendations. For SMBs, integrating chatbot technology throughout the customer experience can boost conversion and also improve the overall customer experience. Drive acquisition by adding pop-up chat bubbles on your website or Facebook, and follow up purchases with automated post-sales check-ins or product lifecycle offers for birthdays, special events, and so on. There are a myriad of exciting tech developments that can help SMBs improve the eCommerce customer experience in 2019, and as online-to-offline and omnichannel become increasingly important, SMBs need to have the right digital platform in place to seamlessly manage sales, marketing, and inventory across multiple channels. 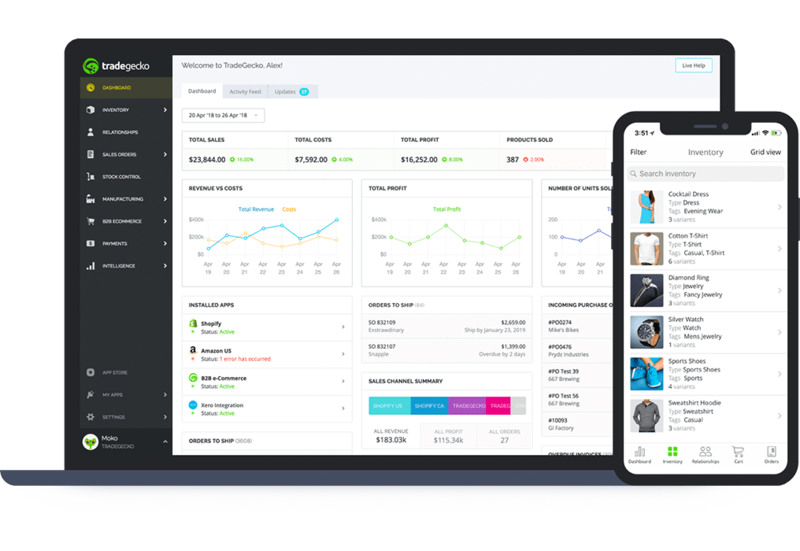 If you’re looking at how to create new customer experiences in 2019, Trade Gecko’s powerful eCommerce platform can help you save time and improve accuracy when managing inventory, orders, and sales - plus TradeGecko provides SMBs with intelligent customer insights to help make better business decisions in real-time.